Painting from Peak’s Horsebox Studio at Green Man Festival 2017. Canal Hydrus 2. 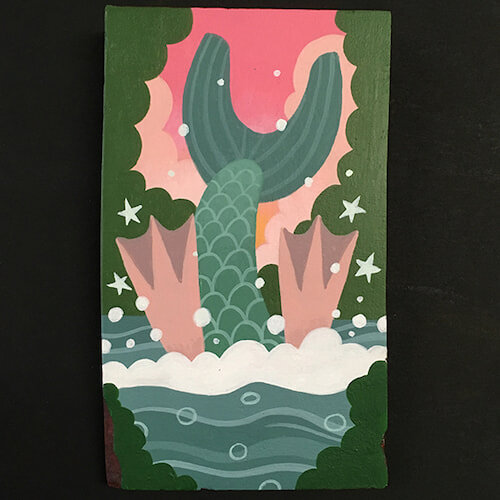 Acrylic on wood 14cm x 8cm. Signed, titled and dated on the reverse. As this is a piece of original artwork it's recommended to send this on the signed for postage option.